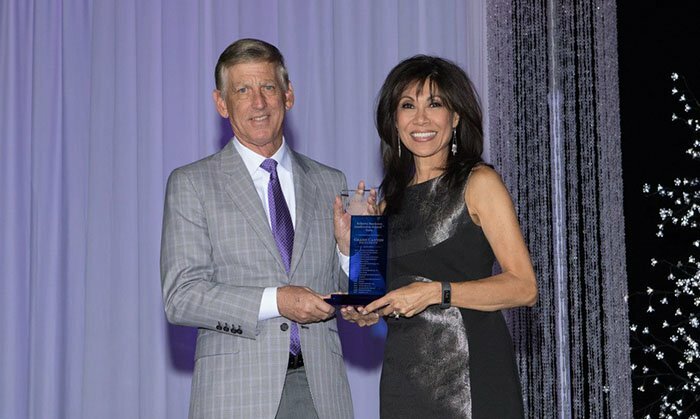 Grand Canyon University was among 20 former Arizona Business Leadership Award winners honored Tuesday night in a gala dinner at GCU Arena. Before the beginning of its partnership with Habitat for Humanity Central Arizona, a union that aims to renovate 700 neighborhood homes and has helped raise local home values 30 percent. Before its Student Inspiring Students initiative started awarding 100 full-tuition scholarships a year to local students. Before the number of ground campus students had grown to its current total of more than 17,000 and the online student population had mushroomed to more than 65,000. Before those students had the benefit of the expansion to nine colleges and 220 academic programs. Before the campus grew from 100 to 270 acres with construction of two engineering and computer science buildings totaling 300,000 square feet, a four-story classroom building that now houses the widely acclaimed Learning Lounge, a music recording studio, 13 residence halls, Lopes Way, the Student Life Building, GCU Stadium and a neighborhood-transforming expansion of facilities at 27th Avenue and Camelback Road that includes the Grand Canyon University Hotel, Canyon 49 Grill and an office complex. Before the University’s partnership with the Phoenix Police Department reduced the neighborhood crime rate by 30 percent. 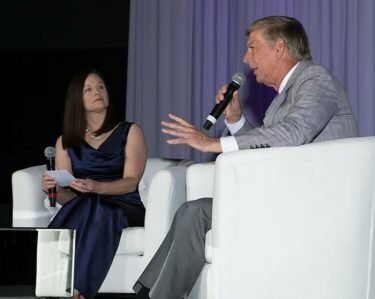 Before GCU’s athletic teams began their four-year transition to NCAA Division I, a venture that has produced 12 Western Athletic Conference team championships to date. Before the University turned a struggling municipal golf course into the highly successful GCU Championship Golf Course. It even was before the site of the dinner was expanded to 7,200 seats and became nationally known as the place where Havocs reign. No wonder GCU President Brian Mueller delivers such enthusiastic talks at events of this nature. 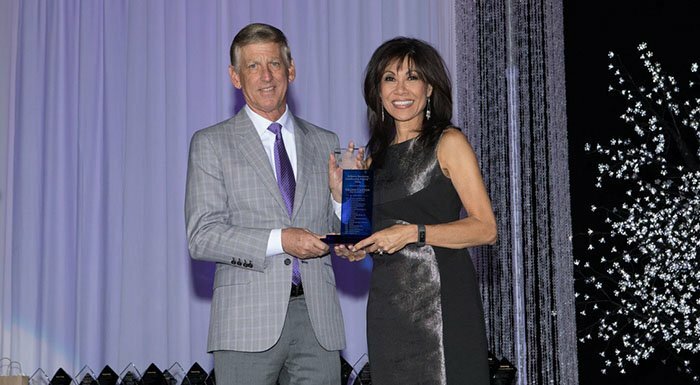 Mueller was one of several local businesspeople interviewed as part of the program, which honored the last 20 annual award-winners of the Arizona Business Leadership Association (AzBL), and he never tires of sharing the GCU message. “God really has His hand on this place in a very, very mighty way. We couldn’t by ourselves make this happen. When people come here, they come with a much larger purpose. Michelle LaFlam, the AzBL executive director, said the awards were based on four benchmarks: at least $5 million in annual revenue and strong indications of growth, leadership and community service.